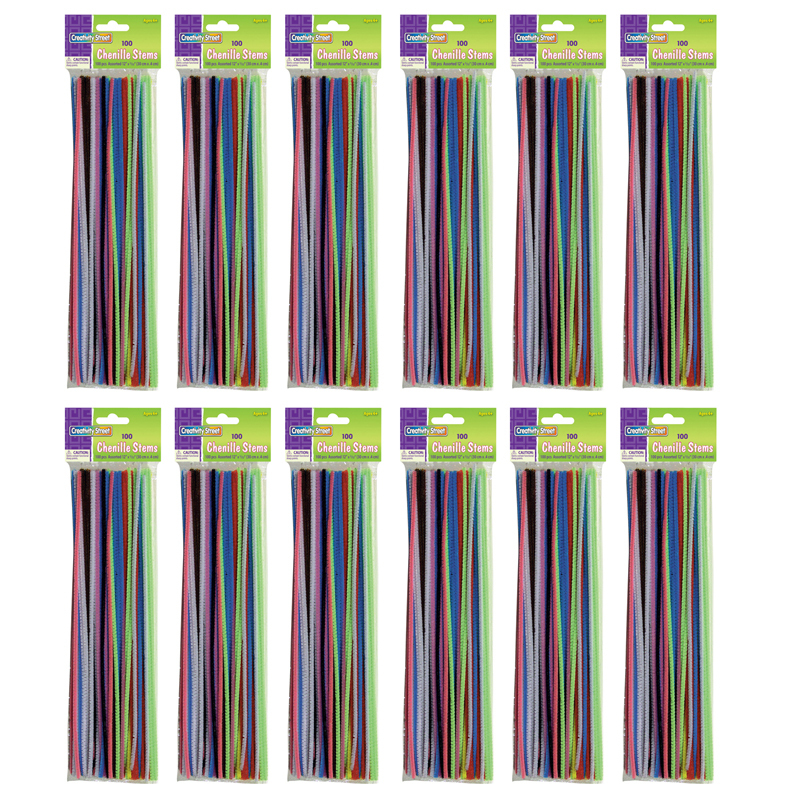 These crush-resistant polyester stems are a 12" length with a 4mm diameter. Each pack includes assorted colored stems, packaged in a poly bag with header. 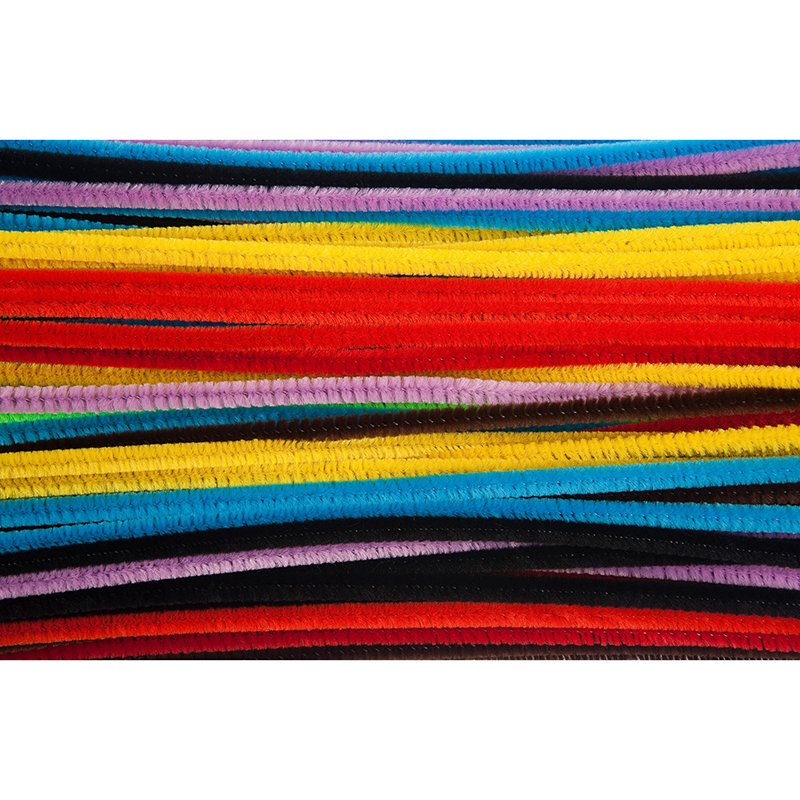 Each individual pack contains 100 chenille stems. Sold as 12 packs for 1200 stems. 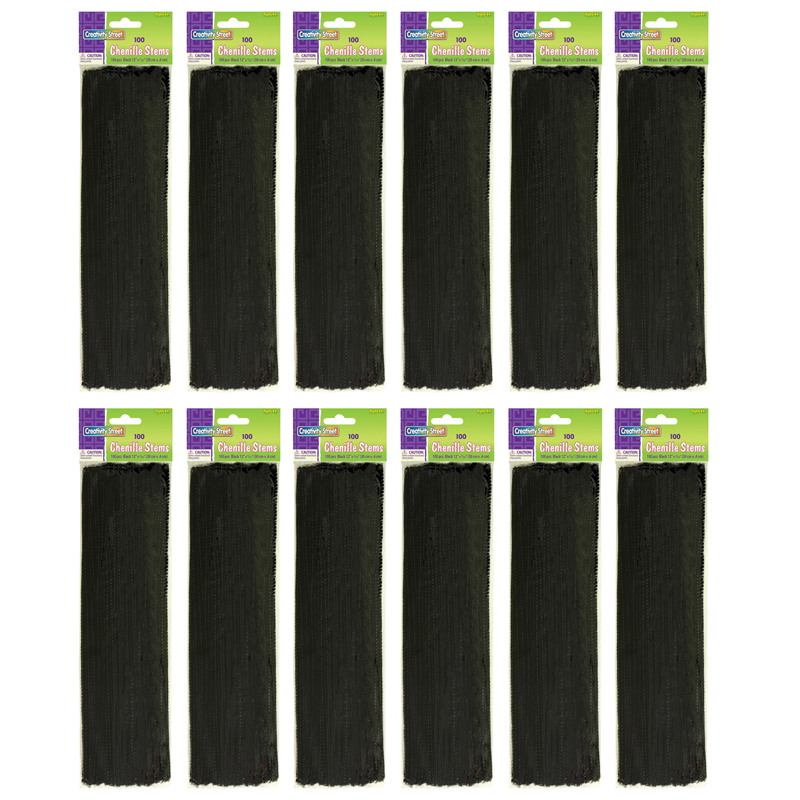 The (12 Pk) Chenille Stems Asstd 12in100 Per Pk can be found in our Chenille Stems product category within the Arts & Crafts. These 6" stems are ideal for small hands and smaller projects. Twist into any shape you can image. Colorful, soft fuzzy stems will add to any craft project. Assorted colors. Each individual box contains 100 Stems, Bundle of 12 boxes, 1200 Stems total. These crush-resistant polyester stems are a 12" length with a 4 mm diameter. Each individual pack includes 100 pieces in black, packaged in a poly bag with header. Sold as 12 packs for a total of 1200 stems.